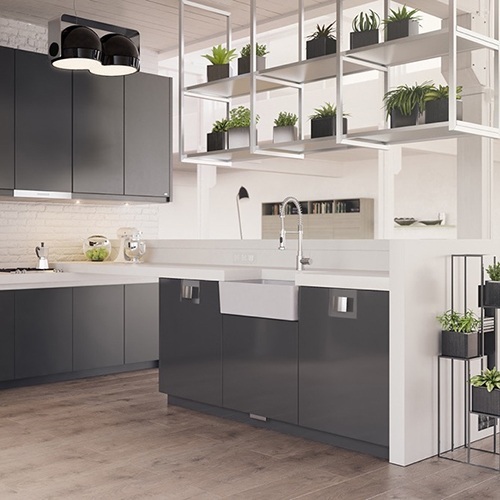 The first and foremost essential of kitchen design is the establishment of a budget. What is the current value of the home and how extensive a remodel is the homeowner considering? Does the homeowner wish to invest 5, 10, 15, or 20 % of the current value in the new kitchen project? What are their expectations in cabinetry, countertops and appliances? Kitchen design is very dependant on lifestyle and the existing home décor. The homeowner may wish to continue with the traditional or completely begin a transition to a more contemporary look. It is important to create relationships of trust and understanding. Our client is counting on our expertise to create the kitchen design of their dreams.